Cleansers are an absolute essential in every person’s skincare arsenal. This is why you’ll be hard pressed to hear anyone who claims not to have a cleanser. So if you’re looking for a new cleanser or if your past cleanser just isn’t working out for you – you’ve come to the right place. We’ve categorised 23 of the best cleansers for all kinds of skin types: acne-prone and oily, dry and dehydrated, dull, ageing, and even sensitive skin to get you started on the right footing in nailing the perfect skincare routine. 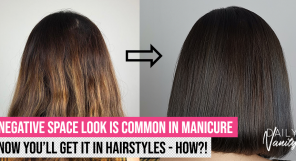 Highly raved about online for how effective it is, this is a formula that is not only clinically tested, but also one that can be trusted for sure. 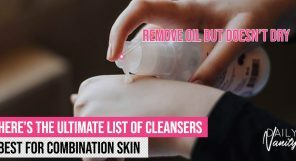 Loved for its paraben-free, fragrance-free formula, this is one of the best cleansers for removing excess sebum without overly irritating your skin. 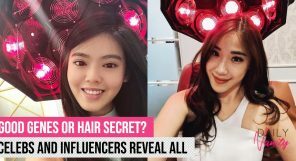 Plus, it’s also specially designed for acne-prone skin – so say goodbye to breakouts! 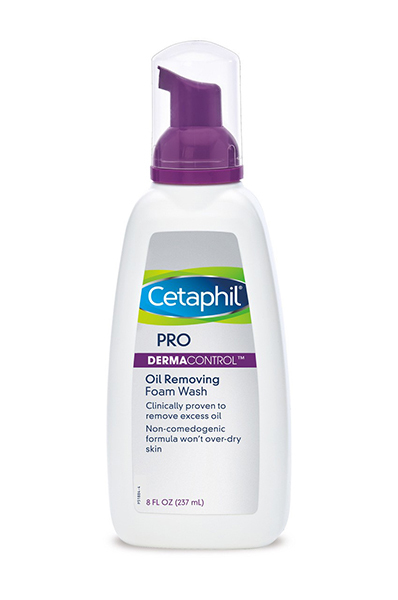 Cetaphil Dermacontrol Oil Control Foam Wash retails at SGD33.92 (237ml) and is available at Raffles Health Clinic and the National Health Group (NHG) polyclinics. Think skincare for acne-prone and oily skin and Mario Badescu is a name that would probably pop up. And one of the most talked about products from them? This cleanser. Infused with powerful anti-acne agent salicylic acid, it treats existing pimples AND prevents future breakouts. To help soothe irritable skin, the product is also packed with aloe vera and chamomile that calms inflamed skin. 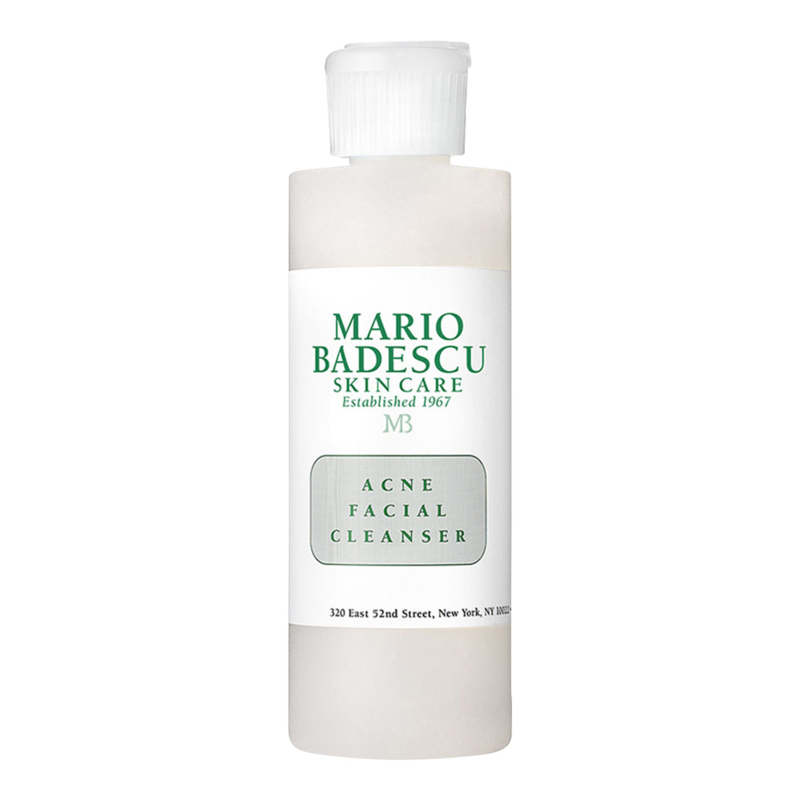 Mario Badescu Acne Facial Cleanser retails at SGD32 (177ml) and is available at Sephora retail outlets and Sephora.sg. Enriched with charcoal, which gives it its black appearance, this cleanser is great for those who suffer from enlarged pores, dull complexion, and greasy skin. Besides charcoal, this cleanser also contains Vitamin P, an active component in citrus peel, Vitamin C, and exfoliating glycolic acid. Together, these ingredients help skin look smoother, brighter, and more clarified. Most importantly, it also keeps acne at bay. 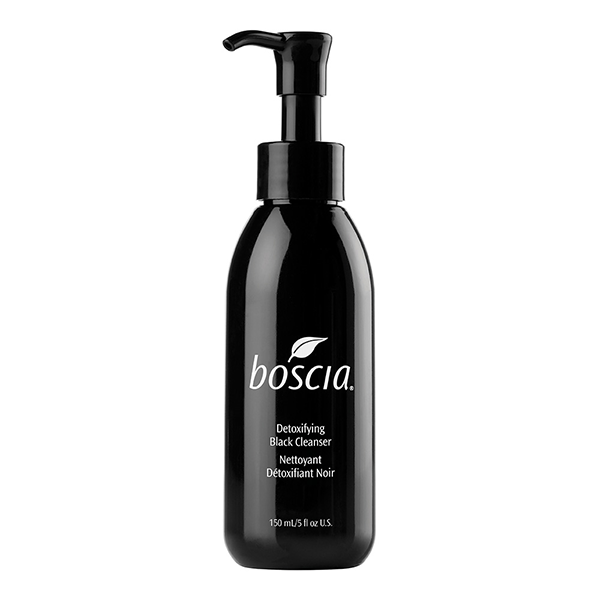 Boscia Detoxifying Black Cleanser retails at SGD44 (150ml) and is available at Sephora retail outlets and Sephora.sg. Gentle and mattifying, this cleanser is great for those looking to keep oil levels at bay and to rid of yucky clogged pores. Formulated with key ingredients like Amazonian White Clay, which is known for its detoxifying and exfoliating properties, and Aloe Barbadensis to hydrate and soothe the skin, this cleanser will have you parading your dewy, clear skin with new-found confidence in no time. One of the best cleansers in the market? You bet! 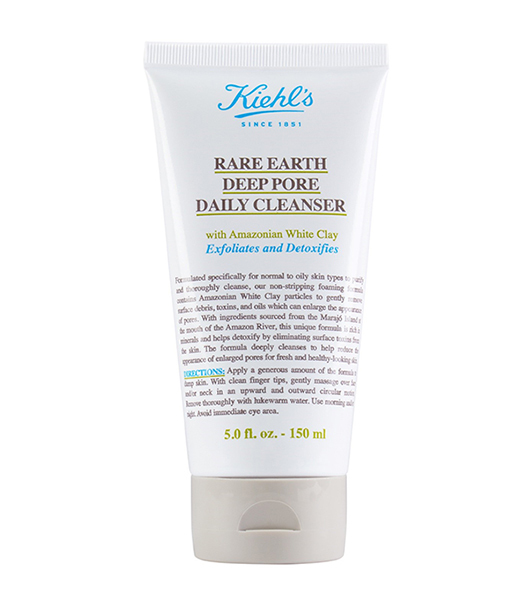 Kiehl’s Rare Earth Deep Pore Daily Cleanser retails at SGD40 (150ml) and is available at all free-standing Kiehl’s retail outlets and counters. 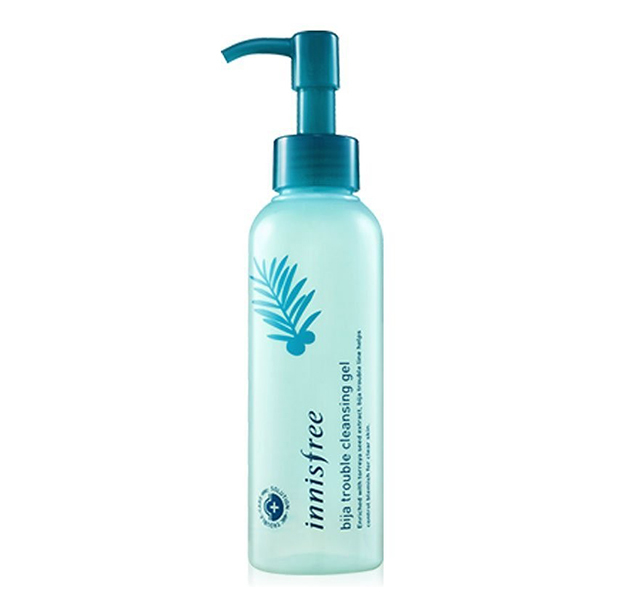 If you are looking for an affordable option, consider the Innisfree Jeju Bija Anti-Trouble Cleansing Gel. This contains salicylic acid to remove dead skin cells and is fragrance- and colourant-free to make sure it is gentle enough for irritated skin. Innisfree Jeju Bija Anti-Trouble Cleansing Gel retails at SGD20 (150ml) and is available in all Innisfree retail outlets. It is also available online at Lazada. 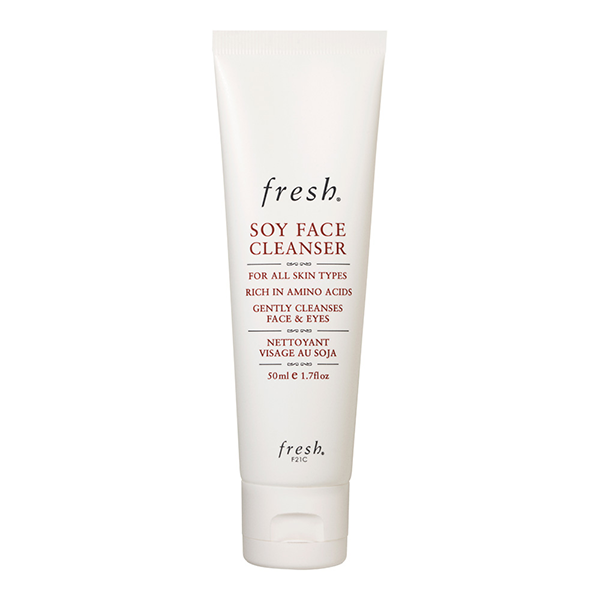 This is a foam-free cleanser that soothes and hydrates skin while delivery powerful anti-bacterial benefits. Besides keeping shine at bay, it also prevents breakouts. Formulated with soothing ingredients like cucumber, aloe vera, and thyme, this cleanser is also great at helping your skin recover faster from icky acne. Alpha-H Triple Action Cleanser retails at SGD49 (200ml) and is available at Sephora retail outlets and Sephora.sg. Highly raved about on Sephora’s review page with a total of 318 reviews and an average of a 4.5/5 star rating, this cleanser is loved even by reviewers with chronic, easily irritable sensitive skin. They LOVED how this product felt on their skin and how it was one of the only products not to break them out. How awesome does that sound? It has a light, refreshing scent that is loved by many, and it leaves skin feeling fresh and supple after each use. 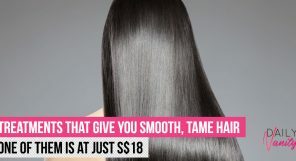 Fragrance-free with a light, refreshing scent, and leaving the skin fresh and supple after each use. 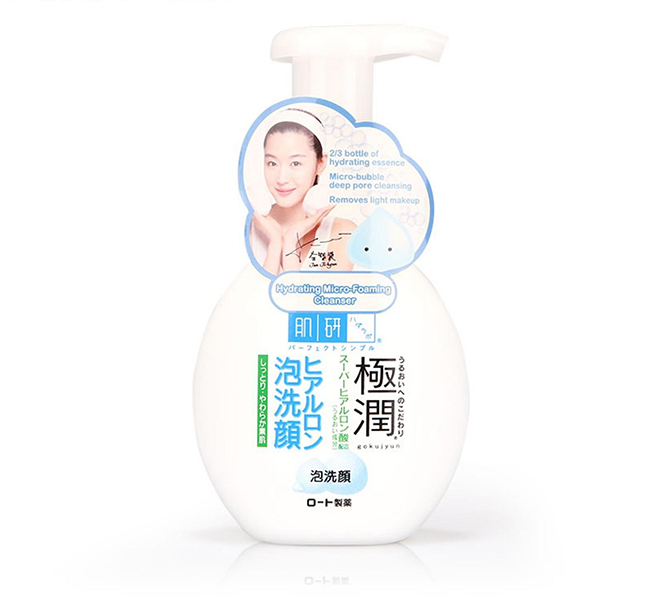 Fresh Soy Face Cleanser retails at SGD23 (50ml) and SGD63 (150ml) and retails at Sephora retail outlets and free standing Fresh retail outlets. It is also available online at Sephora.sg. Those with sensitive skin would know to stay clear of SLS, fragrance, and essential oils – and this cleanser is free from all of them. With a unique blend of mild surfactants to keep excess oil, pollutants, and other grime at bay throughout the day, this is the perfect cleanser to get if your skin is easily irritated. Drunk Elephant Beste No. 9 Jelly Cleanser retails at SGD48 (150ml) and is available at selected Sephora outlets and Sephora.sg. As a brand that has been in the skincare industry for over 150 years now, you bet La Roche-Posay knows their stuff. 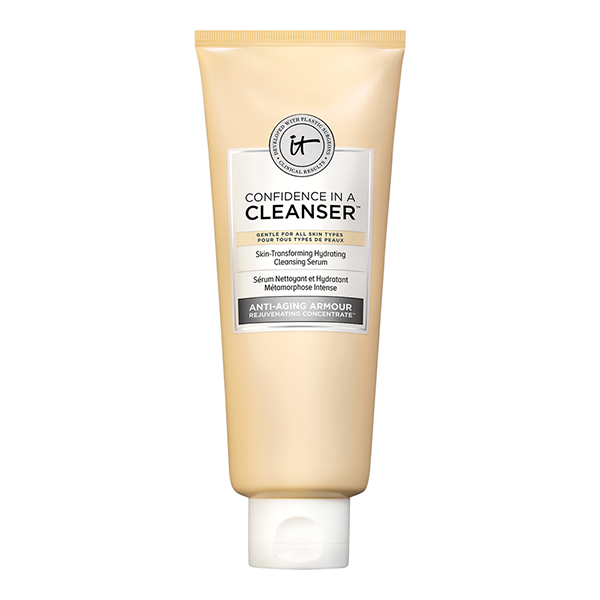 Soap-free, preservative-free, fragrance-free and built specifically for intolerant, easily irritated skin, this cleanser has been highly recommended by dermatologists and raved about by reviewers on Influenster for its gentle and non-stripping formula. 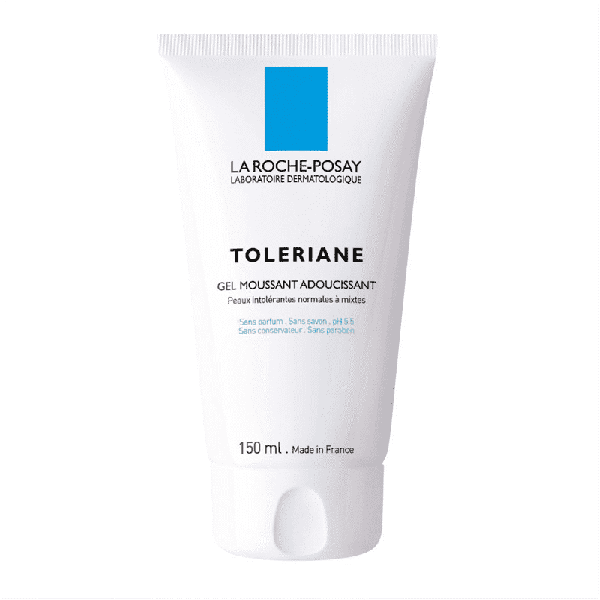 La Roche-Posay Toleriane Softening Foaming Gel retails at SGD33.90 (150ml) and is available at selected Watsons and Guardian retail outlets. 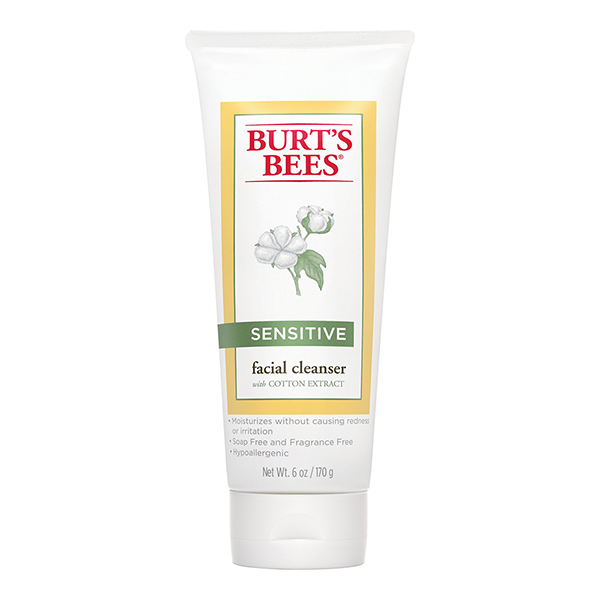 Burt’s Bees may be more well-known for its yummy-smelling lip balms, but its cleanser for sensitive skin is not one to be overlooked. 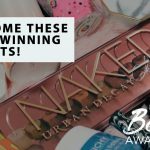 Reviews on Influenster, Ulta, and BeautyHaven paint a positive picture, with many beauty junkies raving about the product. 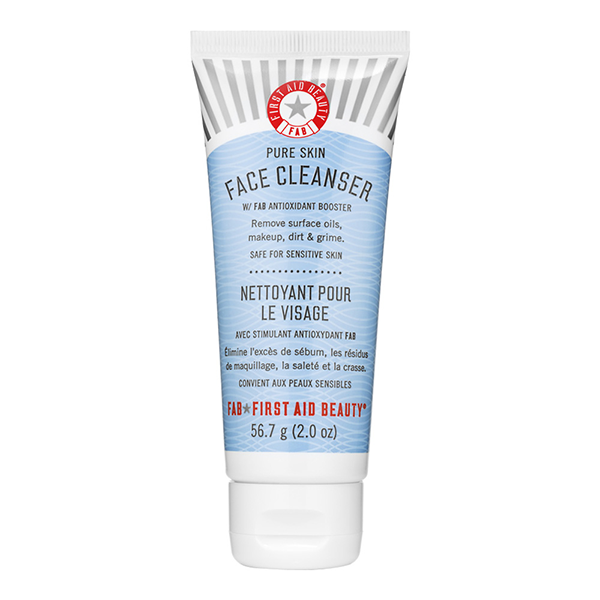 Soap-free, fragrance-free, and hypoallergenic, this cleanser is loved for its ultra gentle and non-irritant formula, while also leaving their face feeling refreshed and clean after. Burt’s Bees Face Cleanser for Sensitive Skin, Fragrance-free retails at SGD32 (170g) and is available at Sephora retail outlets and Sephora.sg. 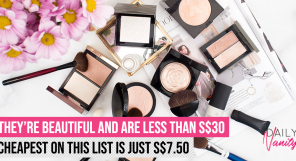 A holy grail list of facial cleansers is most certainly NOT complete without at least one mention of Shu Uemura on the list. A cult skincare product that has stood the testament of time since 1967, the Anti/oxi+ Pollutant & Dullness Clarifying Cleansing Oil is by far the most highly rated (and bought) on Sephora. Targeting at pollution damage and removing impurities and makeup, this cleanser is loved for how it delivers suppleness and radiance to skin. Some reviewers even go as far as proclaiming it the “best facial cleanser” they’ve used. 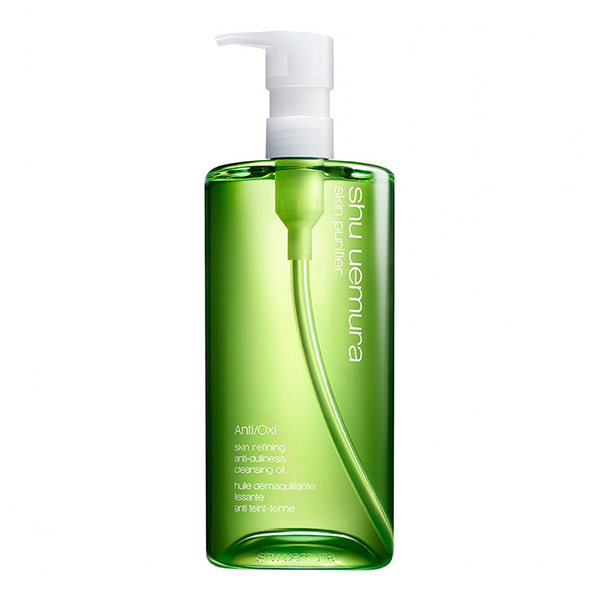 Shu Uemura Anti/oxi+ Pollutant & Dullness Clarifying Cleansing Oil retails at SGD55 (150ml) and SGD125 (450ml) and is available at selected Sephora outlets, free standing Shu Uemura boutiques and counters, and Sephora.sg. 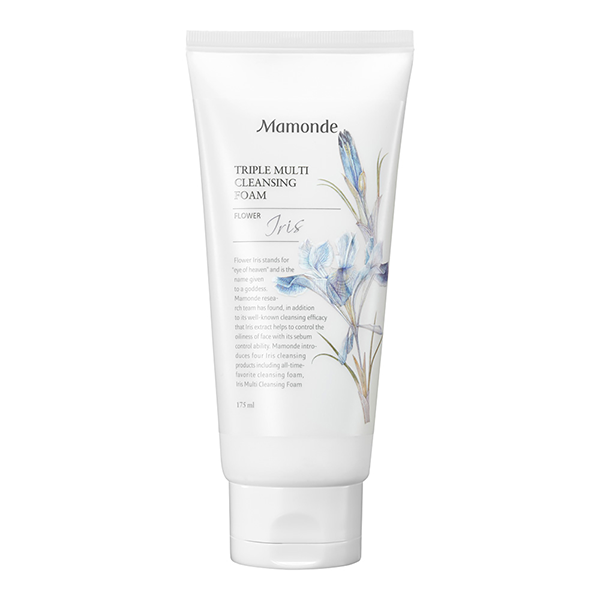 You may know Mamonde primarily for its famous Rose Toner, but its Triple Multi Cleansing Foam Cleanser is not one to be forgotten. In fact, insiders would know that this is one of the best cleansers around. Loved for its gentle formula and almost instantaneous results (according to reviewers on Sephora), this cleanser has little beads to exfoliate, remove makeup, and cleanse to reveal a fresher, clearer, and brighter complexion. Mamonde Triple Multi Cleansing Foam retails at SGD16 (175ml) and is available at Sephora retail outlets, freestanding Mamonde retail outlets and counters. 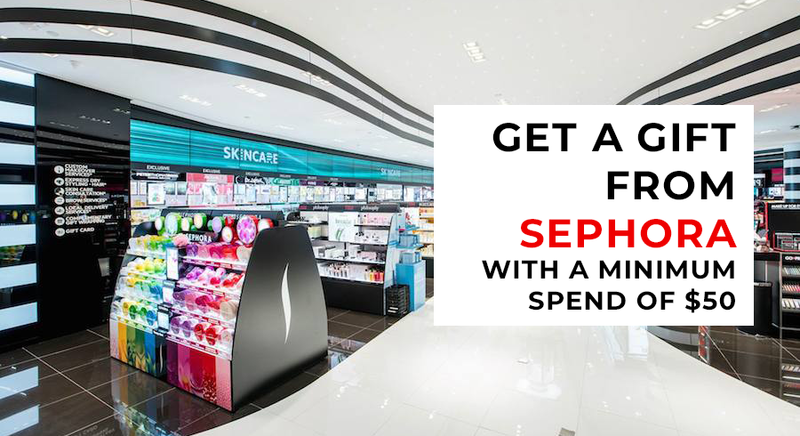 It is also available online at Sephora.sg. Suitable for all skin types and infused with powerful botanical antioxidants, this cleanser really gets the job done. Reviewers raved about how it has kept their skin supple, soft, evened out their skin tone over time. 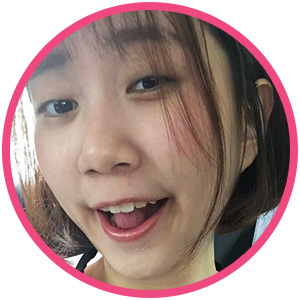 They also loved how clean and hydrated their skin felt right after, and that they even had fewer breakouts since using it. First Aid Beauty Face Cleanser retails at SGD17 (56.7g), SGD33 (142g), SGD54 (226g) and is available at Sephora retail outlets and Sephora.sg. A gentle physical and chemical exfoliation cleanser infused with BHA and the ultra-nourishing olive oil, this creamy cleanser is a great solution in removing build-up, minimises the appearance of pores and deeply cleanses skin. It also decongests pores, and leaves skin feeling supple, soft, moisturised. Look forward to a healthy, radiant glow! Tata Harper Regenerating Cleanser retails at SGD58 (50ml) and SGD125 (112ml) and is available at Sephora retail outlets and Sephora.sg. You may have heard of its holy grail-worthy toner. You know – the one that has a premium label stuck to it with claims that it is infused with five types of hyaluronic acid? Its hyaluronic foam cleanser may not be as famous as the toner, but is a hidden gem well-loved by its users. With an impressive 5/5 star rating on Amazon and Watsons, this cleanser is infused with four types of hyaluronic acid to replenish and preserve essential moisture in the skin to visibly improve skin texture. 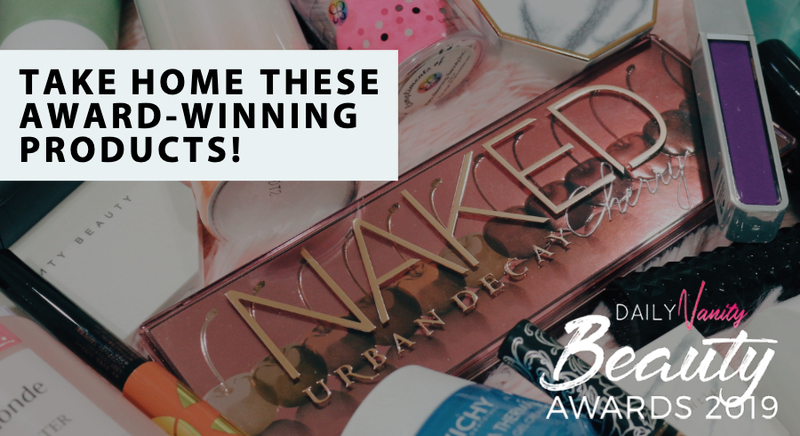 You’ll be left with softer, more supple and hydrated skin in no time! Hado Labo Gokujyun Hyaluronic Foam Cleanser retails at SGD15.90 (160ml) and is available at all Guardian and Watsons retail outlets. It is also available online at Lazada. Fantastic for people with dry-combination skin types, this cleanser not only gently exfoliates your skin without aggravating its dryness, it also ensures it doesn’t strip your skin of its moisture. Sounds like the mark of a product that can be labelled as the best cleanser you can find. 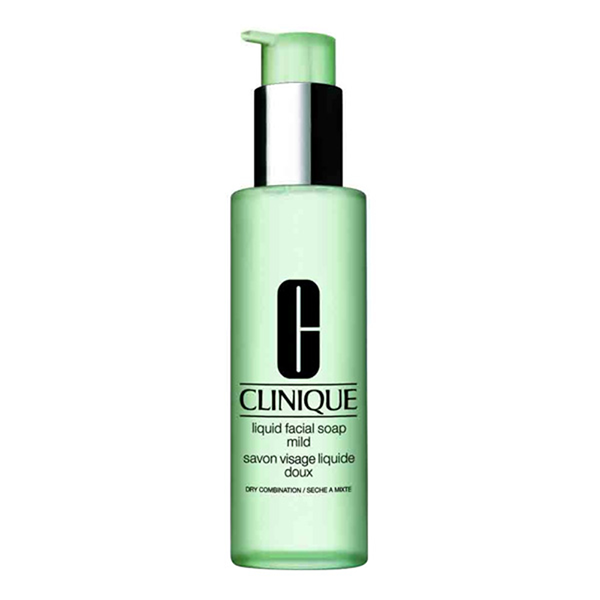 Clinique Liquid Facial Soap (Mild) retails at SGD35 (200ml) and is available at Sephora retail outlets, free standing Clinique retail outlets and counters. 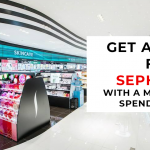 It is also available at Sephora.sg. Highly raved in the US beauty community on Reddit, the Glossier Milky Jelly Cleanser is the perfect solution to sufferers of dry or dehydrated skin. Intensely moisturising, it is also soap-free, paraben-free, sulfate-free, cruelty-free, vegan, and non-comedogenic. Infused with rosewater that’s soothing and gentle, it is safe for eyes and those who wear contact lenses. 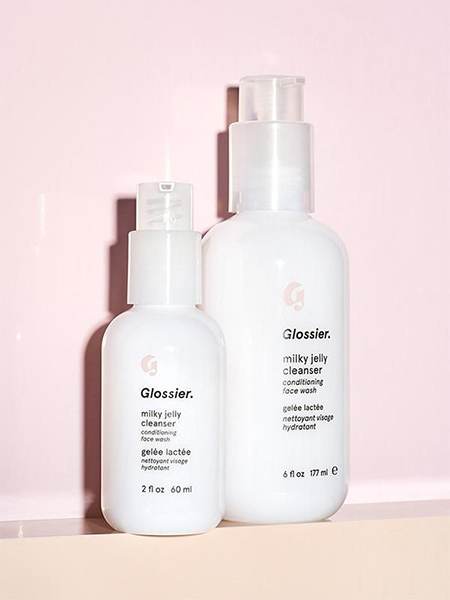 Glossier Milky Jelly Cleanser retails at USD9 for 60ml and USD18 for 177ml and is available online at Blushboss or by making use of overseas shopping services like Airfrov. 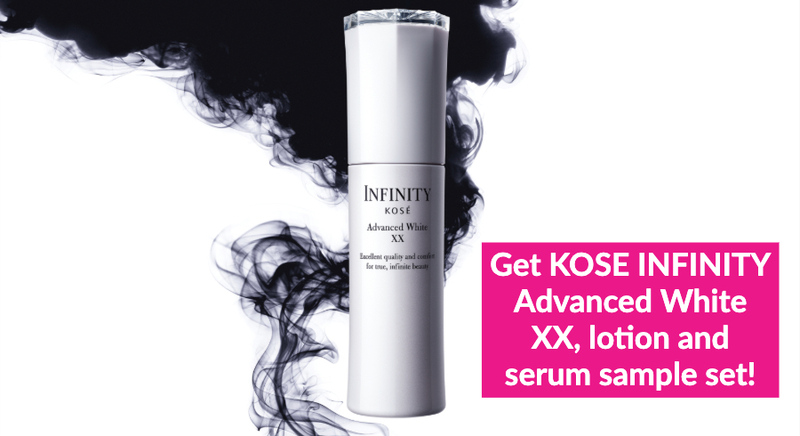 A cleanser that the SkincareAddiction subreddit absolutely swears by as holy grail-worthy, not only is it fairly affordable at SGD22.54 for 355ml, it also contains the hyaluronic acid to deeply hydrate skin. Heck, one reviewer on Ulta even called it ‘cleansing perfection in a bottle’! The only con? The CeraVe cleanser is rather inaccessible, only available on iHerb – total bummer! 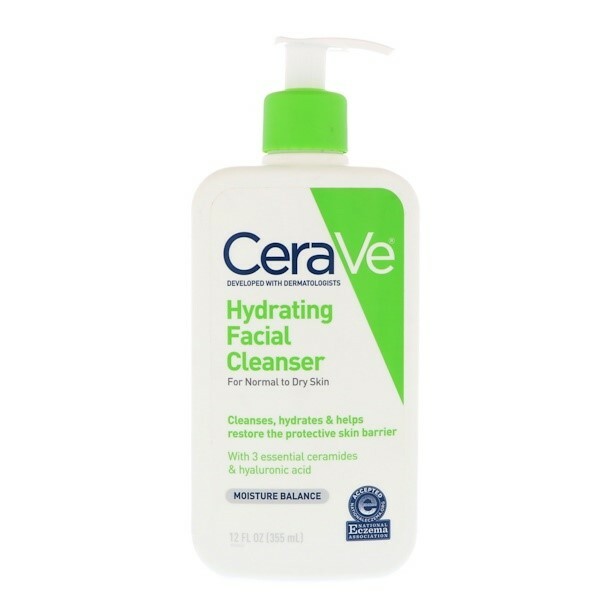 CeraVe Hydrating Facial Cleanser retails at SGD22.54 (355ml) and is available online at iHerb. This cleansing oil is enriched with camellia oil – an excellent source of nourishing vitamins and Omega oils – great for tackling dry skin AND reducing the appearance of the dreaded fine lines! Tatcha Pure One Step Camellia Cleansing Oil retails at SGD67 and is available at Sephora retail outlets and Sephora.sg. 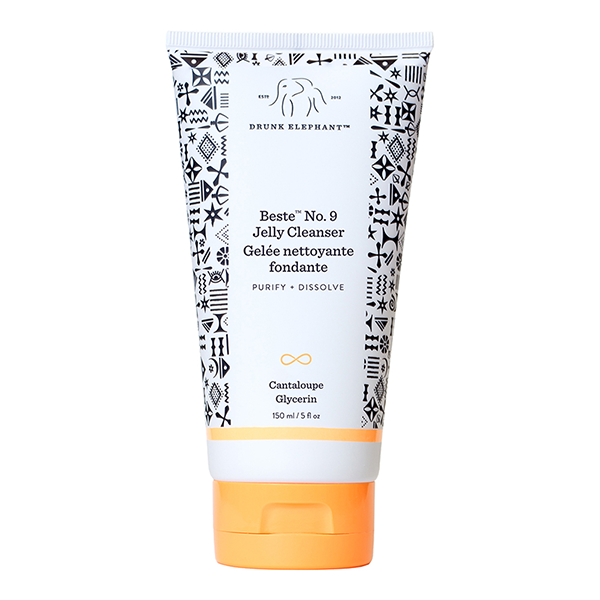 Pricey but most definitely a goodie in many people’s books, this multi-action, moisture-rich cleanser is formulated with biodegradable wax exfoliating beads to help skin look extra radiant. This is certainly one of the best cleansers you can find in the market. 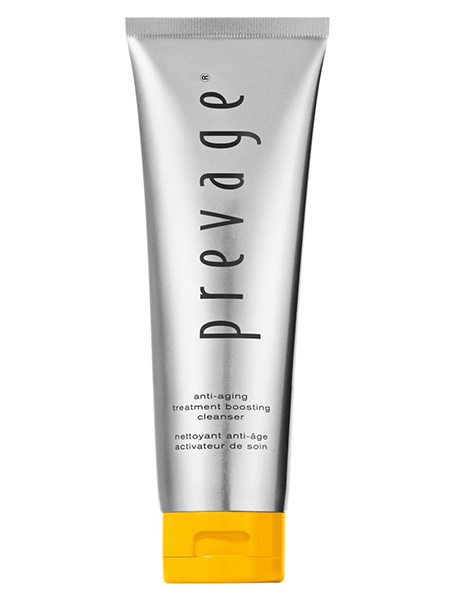 Elizabeth Arden Prevage Anti-Aging Treatment Boosting Cleanser is available at all Elizabeth Arden counters. Imbued with anti-wrinkle technology, this luxurious facial cleansing gel is oil-free and helps to clarify and brighten skin with glycolic acid and salicylic acid in its formula. 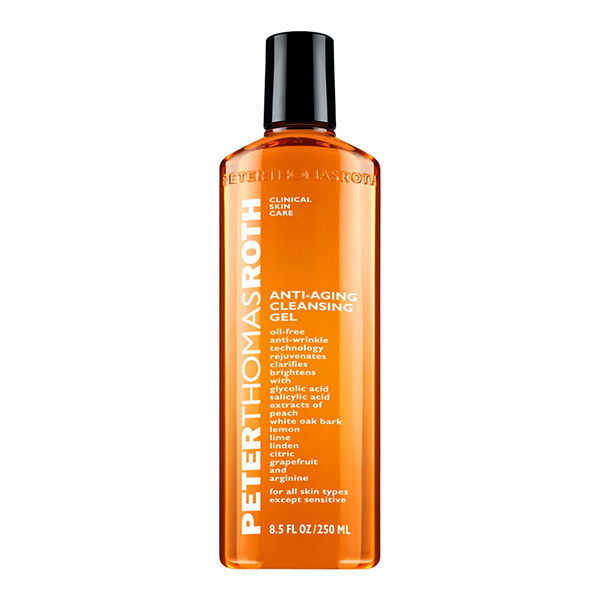 It also contains ingredients that support natural cell turnover to help diminish the appearance of fine lines, wrinkles, and other signs of ageing..
Peter Thomas Roth Anti Aging Cleansing Gel retails at SGD69 (250ml) and is available at Sephora retail outlets and is available at Sephora.sg. 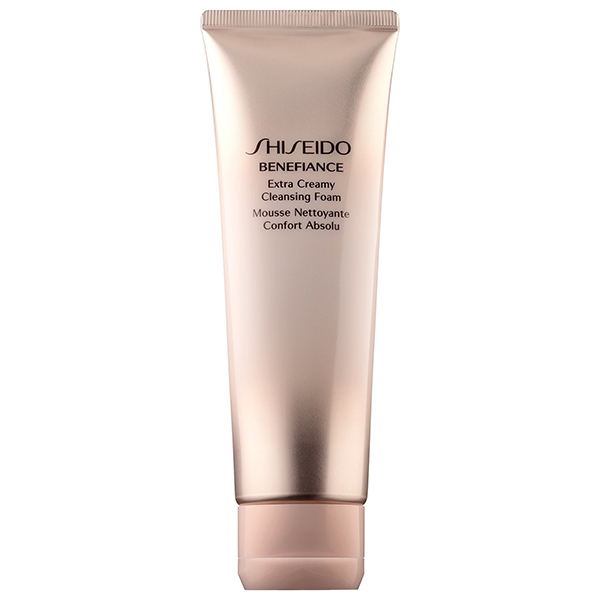 A rich foaming cleanser that gently removes pollutants that may contribute to signs of ageing, this gentle formula cleanses without stripping skin of essential moisture. Shiseido Benefiance Extra Creamy Cleansing Foam retails at SGD58 (125ml) and is available at all Shiseido boutiques and counters. It is also available online at Zalora and Lazada. Developed with plastic surgeons, this cleanser-and serum is safe for the eye area, thanks to its sulfate-free and soap-free formula. Imbued with Anti-Aging Armour Rejuvenating Concentrate, it helps your skin appear rejuvenated and restore moisture. 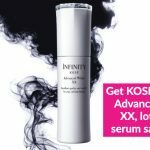 There are also a host super nourishing ingredients like anti-ageing collagen, hyaluronic acid, colloidal oatmeal, and super ceramide complex – all of which chosen to help you achieve an instant youthful glow. IT Cosmetics Confidence In A Cleanser retails at SGD42 (148ml) and is available at Sephora retail outlets and Sephora.sg.